So you have planned a beach wedding for yourself. Great, congratulations! Now read this article to know about some of the best beach wedding colors that would help you make your wedding day memorable and unique. Colors, no doubt add the glamor to your wedding but also set the mood for the occasion. You can define yourself and express your feelings by choosing the right wedding colors. 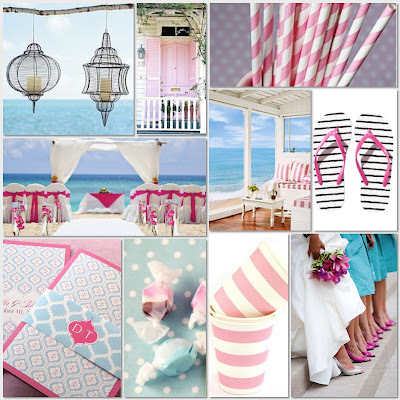 You have the wide array of colors to use your creativity when it comes to beach wedding themes. You don't have to stick to the traditional white, instead you can opt for a combination of two or three colors along with white. Most of the people think only of blue for beach weddings, but try to incorporate all the obvious beach colors inspired by nature. Exotic green taken from leaves, light brown taken from the stem of coconut trees and cream and off white taken from the sand on the beach, etc., are ideal for beach weddings. Given below are some of the popular beach colors that would help you intensify the look of your wedding and add an aesthetic touch to the wedding decorations. It is one of the best wedding colors for. Yellow symbolizes joy and happiness and is certainly very striking and catchy. You can combine this color with green or olive green and it is sure to attract everyone. A yellow wedding gown for the bride may not be the good idea but light yellow is definitely going to be a great wedding color for the floral decorations and wedding centerpieces. 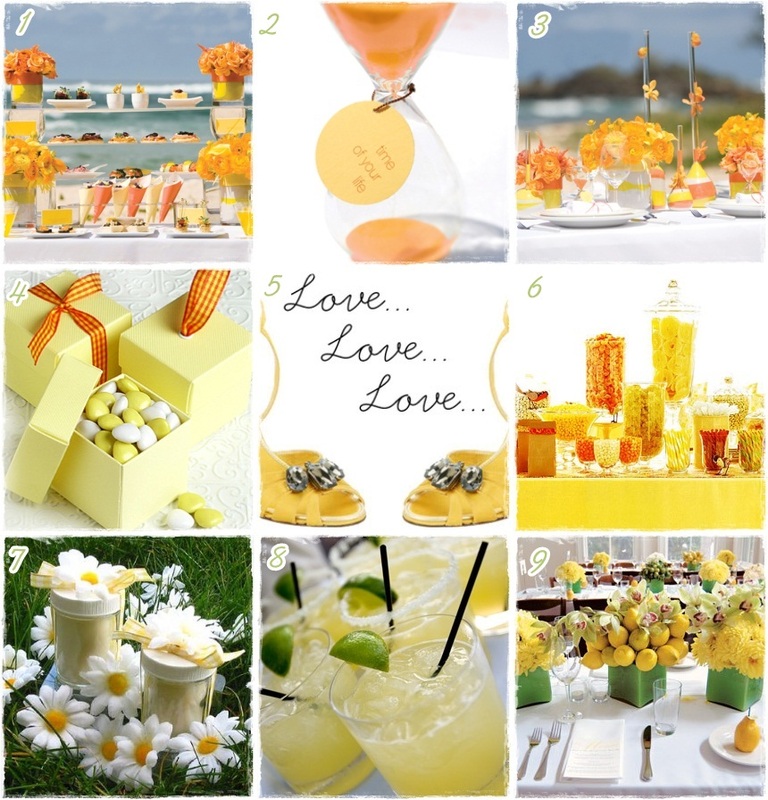 Yellow flowers look just gorgeous on the beach weddings. You can experiment with different shades of yellow as all of them are trendy and pleasing. It is one of the best spring wedding colors. At first you might find orange a little too off-beat but given a second thought, you would realize how fantastic it can look on the beach. We can hardly think of orange on the beach but that is what we have to bank upon. It is an unexpected color and so would surprise everyone for sure. It looks amazingly fresh on the sandy blue beach background. Imagine orange on the backdrop of aqua blue waters and pale sand. You can combine orange with peach to balance its loudness. Peach is a good choice for bridesmaids dresses that looks chic and elegant. It is one of the most preferred summer wedding colors. Purple is a royal color that signifies class, mystery and magic. And it will surely enhance the preparations of your wedding magically. A light purple satin wedding gown with chic hairstyle would look ecstatic on the bride. You can combine this color with white or baby pink. You can decorate the venue with pink flowers and bright orchids to suit the color theme. Another royal combination can be purple and silver to add the glamor and glitter to your wedding. It is also one of the best wedding colors for September. I am sure this color is going to get the heads turning. 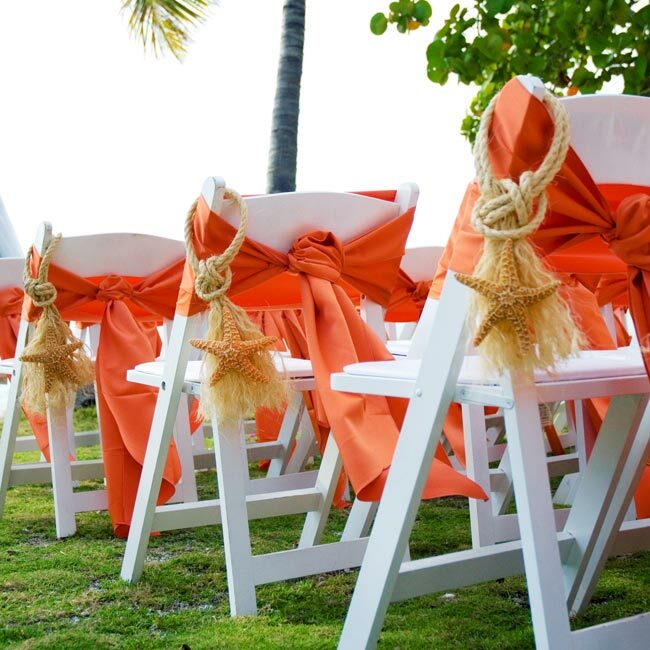 It is one the classic fall wedding colors and is ideal for beach weddings as well. I don't have to explain much about red but I would suggest some different wedding color combinations that would gel fantastically with red. Blood red, cherry red, and crimson together would make beautiful colors for a beach wedding. All these versatile colors with a tint of white are sure to get the 'wow' from everyone. Red and white is that combination that would never go out of fashion. Apart from these colors, you can try striking pink, tiffany blue, aqua blue, coral, fluorescent, sky blue, turquoise, lime green, beige and navy blue, etc. You can try these colors in various combination. 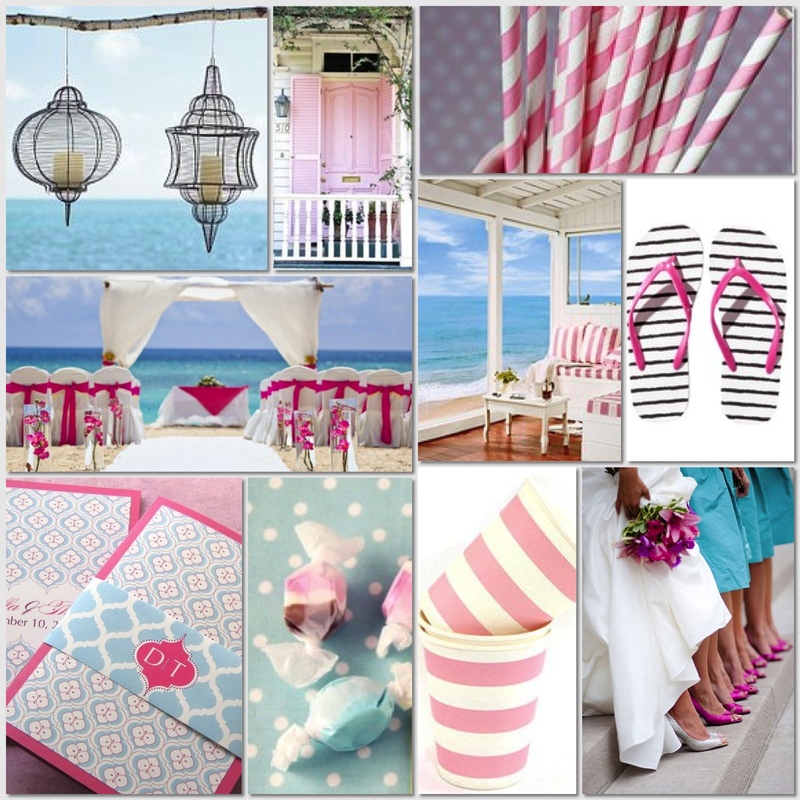 You can try any of the above beach wedding colors and you won't go wrong. Use these modern, nontraditional, and vibrant colors on your beach wedding and make the day even more special for years to come.